We surpassed our $15,000 goal for our annual missions offering and as of January 15 have received $15,519.40 to be put to work sharing Jesus in 2017. The Missions Committee has allocated $552 from our Missions Offering in support of the evangelical ministry of Pablo and Dulce Rodríguez in Valls, Spain. Dulce is the daughter of Frank Solórzano, our mission partner in Guatemala. Pablo and Dulce's church in Spain is reaching people and teaching the gospel in a region of the world that has little evangelistic activity. Please join your church in prayer for this ministry. The Missions Committee has allocated $966 for training pastors and Bible study leaders who serve in churches located in remote regions of Central America. A 2-year training program for pastors has been directed by Brother Frank Solórzano since 1984. Last year Brother Frank completed the development of a curriculum to train Bible study leaders who teach Sunday school and who direct other education ministries. Our allocation will pay for the printing and distribution of materials. Please pray for our missionaries who serve locally and around the world. The Missions Committee has allocated $138 from our Missions Offering in support of the ministry of Rolando and Erin Poou in Alta Verapaz, Guatemala. Rolando and Erin live with their son Jacob in the remote mountains of central Guatemala, where they work to establish churches and train pastors to lead them. Rolando preached at our church last spring. Please pray for these two Christian servants. The Missions Committee has allocated $690 from your annual Missions Offering to support the ministries of the Western Heights Baptist Center, an outreach ministry of the Knox County Association of Baptists. Your annual Missions Offering supports missionaries and missions organizations in Knoxville and around the world. Please pray for our missionaries. The Missions Committee has allocated $276 from our Missions Offering in support of area adult residents homes that are operated by the Tennessee Baptist Adult Homes. Please pray for the missions ministries of our Southern Baptist organizations and for our missionary partners as you consider your involvement in our annual Missions Offering this December. The Missions Committee has allocated $276 from our Missions Offering in support of the Tennessee Baptist Children's Homes located throughout Tennessee. Please pray for the missions ministries of our Southern Baptist organizations and for our missionary partners as you consider your involvement in our annual Missions Offering this December. Our July mission team has returned from Guatemala after serving a week as part of a medical group that worked in three communities over five days. The first location was in an agricultural area, where the team spent two days. The group then worked in the town of Zaragoza for two days, followed with a day in a remote farming community located in the mountains. Three members from Lincoln Park Baptist teamed up with seven members from Buffat Heights Baptist. The volunteer missionaries assisted over 500 local residents during the five days of work. The medical clinics were conducted with the purpose of promoting the ministries of a church in each of the three communities visited. The project was organized and coordinated by the Rev. Frank Solórzano, our long-time mission partner in Guatemala. Support for this project came from the annual Missions Offering. Lincoln Park Baptist members also contributed medicine and money during a drive this past spring, with the money used to buy additional medicine and supplies in Guatemala. The Missions Offering also supported two Lincoln Park Baptist members who traveled to Guatemala in June to work in children's ministries and women's ministries. 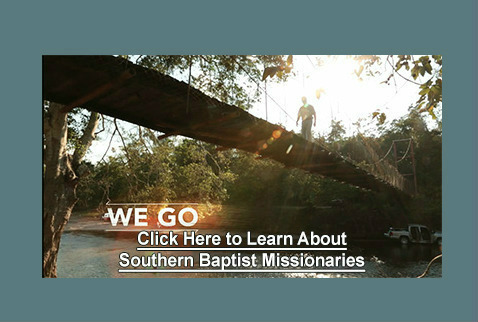 Our annual Missions Offering supports career missionaries and missions activities locally and around the world. Southern Baptist missionaries are at work in West Virginia to provide relief to the victims of floods that hit the region in June, 2016. In support of this work, the Lincoln Park Baptist Missions Committee allocated $1,000 from the 2016 Missions Offering for the disaster relief ministries of the North American Missions Board. Lincoln Park Baptist Church sent $2,601.98 to the Annie Armstrong Easter Offering to support over 5,000 Southern Baptist missionaries who serve in North America. This money comes from the annual Missions Offering received in December. You may recall that we sent over $5,500 to the Lottie Moon Christmas Offering for international missions in January. Volunteer short-term missionaries from Lincoln Park Baptist are currently preparing to work in Guatemala this summer. Two of our members will travel in June to work with children's ministries and women's ministries in four churches. Three more of our members will travel with a medical team in July to provide clinics for pastors, their families, and the residents of a community. Several Lincoln Park Baptist members met recently to help prepare materials for the children's programs. We will soon announce additional opportunities for our members to be involved with these mission projects. As of January 6 we had received $16,262.23 for the support of missionaries and missions endeavors in 2016. Praise the Lord for cheeful givers! We continue to pray for our missionaries and for opportunities God gives us to share the Good News of our Lord and Savior Jesus Christ. Pray for our missionaries and your church's role in supporting them. See our missionaries in action. The Missions Committee has allocated $500 from the annual Missions Offering for the Southern Baptist Disaster Relief Ministry to assist flood victims in South Carolina. Please pray for the Christian witness these missionaries provide to those in distress. The Missions Committee has allocated $200 from our Missions Offering in support of the ministry of Rolando and Erin Poou in Alta Verapaz, Guatemala. Rolando and Erin live with their baby son Jacob in the remote mountains of central Guatemala, where they work to establish churches and train pastors to lead them. Please pray for these two Christian servants. The Missions Committee has allocated $500 from our Missions Offering in support of the Kingswood School in Bean Station, Tennessee. This school provides Christ-inspired instruction to children whose situations require a different approach to education than what is provided in their regular public schools. Please pray for those who work with these children. The Missions Committee has allocated $500 from our Missions Offering in support of the evangelical ministry of Pablo and Dulce Rodríguez in Valls, Spain. Dulce is the daughter of Frank Solórzano, our mission partner in Guatemala. Pablo and Dulce's church in Spain is reaching people and teaching the gospel in a region of the world that has little evangelistic activity. Please join your church in prayer for this ministry. The Missions Committee has allocated $650 from our Missions Offering in support of the RARE campaign of the Tennessee Baptist Adult Homes. This campaign is to raise money to renovate rooms at the Baptist Health Care Nursing Home in Lenoir City. The Missions Committee has allocated $750 for training pastors who serve in churches located in remote regions of Central America. The 2-year training program has been directed by Brother Frank Solórzano since 1984. Please pray for our missionaries who serve locally and around the world. Our Sunday morning service will be a report from our volunteer missionaries who participated in two projects in Guatemala this summer. Join us and learn how Lincoln Park Baptist works to share the Good News of our Lord Jesus in our community and around the world. The Missions Committee has allocated $650 from this year's missions offering to be sent to the Tennessee Baptist Children's Homes.. This vital ministry provides Christian love, care and stability to children throughout Tennessee. Please pray for our missionaries who work in the local area and around the world. The Missions Committee has allocated $750 from your annual Missions Offering to support the ministries of the Western Heights Baptist Center, an outreach ministry of the Knox County Association of Baptists. Your annual Missions Offering supports missionaries and missions organizations in Knoxville and around the world. Please pray for our missionaries. THANK YOU FOR SUPPORTING MISSIONS! Our June mission team worked in Guatemala with a women's ministry and led children's groups in three churches. One Lincoln Park Baptist member worked with a medical team in Guatemala in July. Individually and through Sunday school classes, Lincoln Park Baptist members contributed to our supply of medicines that the medical team used in July, PLUS contributed nearly $900 for the purchase of medicine in Guatemala. Both teams served in Guatemala to support and encourage pastors and churches as they present God's Word every day. Lincoln Park Baptist Church sent $2,400 to the Annie Armstrong Easter Offering to support our Southern Baptist missionaries who serve in North America. This money comes from the annual Missions Offering received in December. You may recall that we sent $5,100 to the Lottie Moon Christmas Offering for international missions in January. We praise our Lord for the $15,000 received in last December's annual Missions Offering. From the offering received, Lincoln Park Baptist Church has sent $5,100 to the International Mission Board as our church's Lottie Moon Christmas Offering. This will support approximately 5,000 Southern Baptist missionaries serving around the world. Please pray for our missionaries, many of whom serve in extremely challenging assignments. Get Involved With Missions! Click Here to View a Missionary's Story.